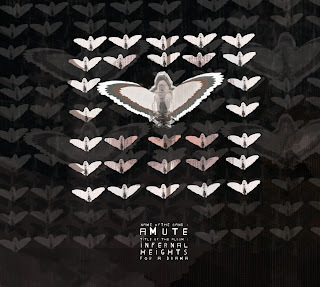 aMute's last album is still available ! Don't pass through these amazing 48 minutes of genre crossing rock. The first album from aMute as a band. Infernal Heights... is certainly ambitious in its scope and the amount of musical ground it attempts to cover, and that ambition is not left unfulfilled. There are elements of post-rock, prog, jazz, glitch, electro, folk and even classical influences at work. This willingness to experiment will certainly not be to the tastes of all, but it does not render the music inaccessible. To the contrary, beneath its weighty surface, is a warmth and a sense of purpose, and even though, after the album has finished, you feel as if you’ve just returned from working undercover in a hostile land, you miss it, and want to go back. - Steve Gislam for Tiny Tapes. Available on CD and LP.